Euroleague Basketball is pleased to announce that the 2015-16 Eurocup Coach of the Year is Maurizio Buscaglia of Dolomiti Energia Trento. In the club's first season in any European club competition, Buscaglia led Trento to the semifinals, getting 15 wins in 22 games and only losing to Strasbourg by a two-point differential in their home-and-away series. Buscaglia, who turned 47 on April 9, has completed an amazing journey, taking Trento from the Italian third division to the Eurocup semifinals in less than six seasons with the club. Not only did Trento win this season, but Buscaglia instilled in the team a fun-to-watch, aggressive playing style. Trento put a lot of pressure on the passing lines, attacked the offensive glass with its wing players and opened the floor with its undersized big men Davide Pascolo and Julian Wright. Trento was second in its regular season group with a 7-3 record and first in its Last 32 group at 4-2. Its dream season continued with Trento downing CAI Zaragoza on point difference in the eighthfinals then sweeping mighty EA7 Emporio Armani Milan in the quarterfinals. Trento even won Game 1 of the semifinals on the road against Strasbourg, but its season ended at home, where it lost in Game 2. Coach Buscaglia has been part of his club's history over and over again, and now, by writing the most brilliant chapter in that book, he has become Euroleague Basketball's choice for the 2015-16 Eurocup Coach of the Year. The Eurocup Coach of the Year is part of an awards structure designed to recognize the finest Eurocup participants for their efforts throughout the season. Mateusz Ponitka of Stelmet Zielona Gora was already named the Eurocup Rising Star Trophy winner for this season. 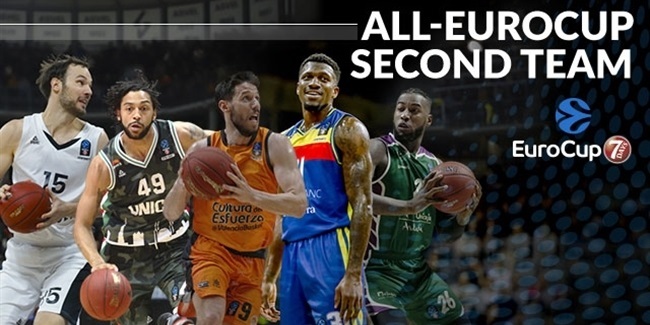 Euroleague Basketball's in-house experts will also select the All-Eurocup First and Second Teams and the Eurocup MVP. Buscaglia becomes the eighth winner of the annual Coach of the Year award, which was introduced in the 2008-09 season. 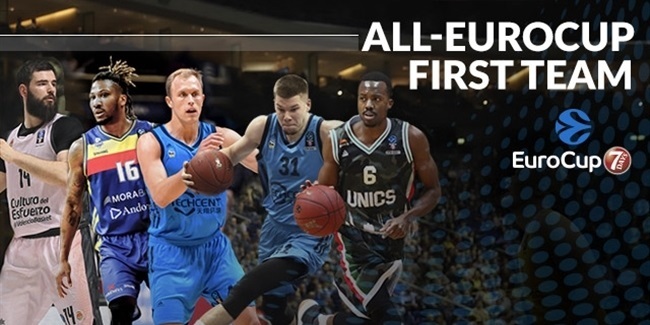 The previous winners are Oktay Mahmuti of Benetton Basket in 2009, Ilias Zouros of Panellinios in 2010, Aleksandar Petrovic of Cedevita Zagreb in 2011, Jure Zdovc of Spartak St. Petersburg in 2012, Fotis Katsikaris of Uxue Bilbao Basket in 2013, Andrea Trinchieri of Unics Kazan in 2014 and Aito Garcia Reneses of Herbalife Gran Canaria Las Palmas last season. At Trento, Buscaglia has established a winning culture that has seen the team do better year after year since the team was in the Italian third division at the start of the 2011-12 season. Since then, Trento has been promoted twice, reached fourth place in the Italian League regular season last year and entered the Eurocup for the first time this season with less recognition than ambition. Trento became one of the best teams in the competition despite losing a key players like big man Filippo Baldi Rossi (8.5 ppg., 4 rpg.) before the most important games of the season. Buscaglia gave Trento an aggressive, unconventional style. 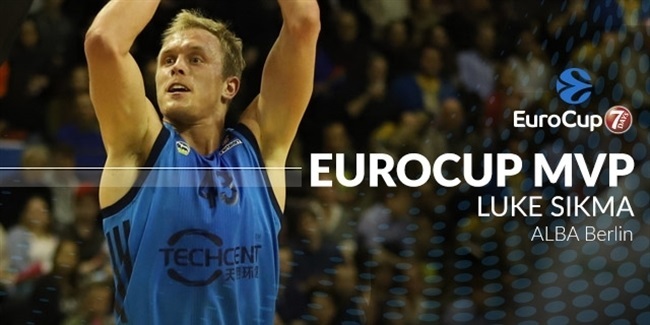 His team led the Eurocup in steals (8.86 spg.) while ranking sixth in offensive rebounds (12.1 orpg.) and eighth in blocks (3 bpg.). With strong players like Dominique Sutton and Trent Lockett on the wings and all-around big men like Pascolo and Wright, Trento ranked second in two-point shots attempted (45.6 per game) and very low in three-pointers tried (20.3 per game). As such, Buscaglia opted to trust his players' skills in one-on-one situations on offense, and that trust paid off again and again. As many as eight Trento players averaged 5 points or more, with Pascolo leading everyone at 15 per game. Buscaglia has been coaching for most of his life. He started his career in 1986 with Grifone Perugia's youth teams. He also coached several junior and senior teams in Bologna - Secchia Rapita, Pallacanestro Stars, Basket Anzola, Basket Salus - until he joined Piove di Sacco, where he was the team's head coach in the Italian third division from 1996 to 2000. His good job there allowed Buscaglia to join Bears Mestre's coaching staff in the Italian second division. He became the team's head coach in the 2002-03 season, but could not stop Bears from going down to the Italian third division. Buscaglia had a first stint with Trento from 2003 to 2007, helping it win promotion to the third division (Serie C2) in 2005, also winning the Italian Serie C Dilettanti Cup in 2004. He returned to Bears Mestre in 2007 and also coached Perugia Basket before returning to Trento in 2010. His second and current stint did not start well, as Trento went back to the Italian fourth division, but got a wild card to play the third division in the 2011-12 season. Trento moved up to the second division after one season and reached the first on June 6, 2014. In its first Italian League season, Trento played the Italian Cup and the Italian League playoffs, earning a spot in the Eurocup as Buscaglia was recognized as Italian League Coach of the Year. Now, Buscaglia adds the Eurocup Coach of the Year award for putting Trento on the European basketball map, too.